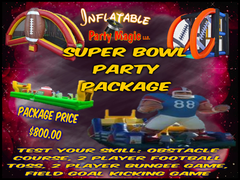 Try Inflatable Party Magic LLC Party Packages to make your party complete with party packages that make great add-on rentals to other rental items. 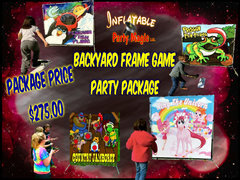 All of the games included in the party packages are very popular and the kids love them. 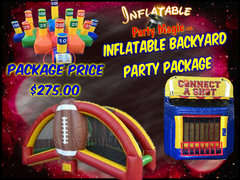 You can add these to an inflatable and keep a large volume of kids entertained for a long time at a discount by packaging them. 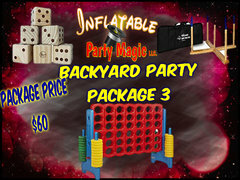 Party Package games tend to add a competitive edge to your party and create involvement and excitement. 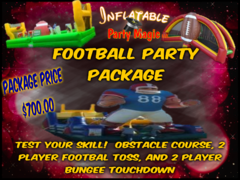 These economical party packages can make a party of their own or can be added to any rental pieces to create your dream party. 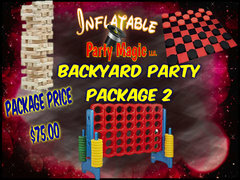 Weather is not a factor with the party and backyard games as most can be easily moved inside to a garage or even a living room. Packaging these games saves a great deal of money so you can afford to rent more of them. 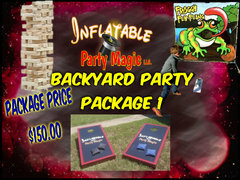 If you want to have your party games delivered, you will need to have an order of $100 or more. 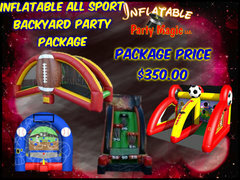 You can pick-up most of the party packages to save money or if your order totals less than $100. 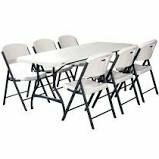 Customer Pickup is at a discounted rate and is offered between 8-9am on the morning of the rental. 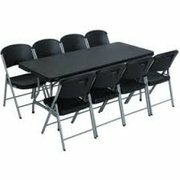 All Customer returns are between 8-9am the following day. 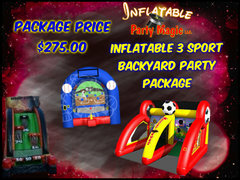 If you would like more information please do not hesitate to contact us at 817-800-8618. 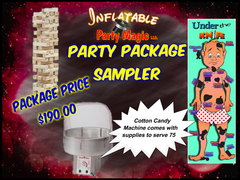 Give our party games a chance to make your next party awesome!